All veggie/dairy industrially produced foods are ok whether or not they are certified kosher. All veggie/dairy foods with a hechsher (a registered mark certifying kashrut) are ok.
All veggie/dairy foods that are not cooked are ok.
Kosher fish (see definition below) is considered “veggie/dairy” for the purpose of Temple Bnai Israel kashrut. 1. If a wood, glass, or metal utensil has ever come into contact with burning hot meat (or meat product), it must be washed in scalding water before contacting burning hot food to be brought to the Temple. 2. If a plastic or ceramic utensil has ever come into contact with burning hot meat (or meat product), it cannot come in contact with burning hot food that is to be brought to the Temple. These restrictions do require thought and attention, but it is the intent of the ritual committee that food can be relatively easily brought from home. When buying industrially produced products, if the listed ingredients are all dairy/parve, the product is ok. We have no concerns about the utensils used in industrial preparation. Note the following, though. 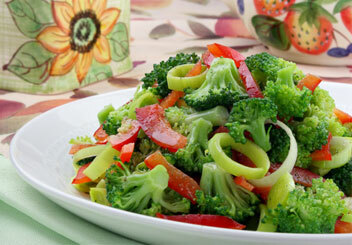 “Shortening” that is not specified to be “vegetable shortening” is often animal fat and not kosher. Some “natural flavors.” Some of these are meat-based. For example, prepared French fries or pasta sauce may include “natural flavors” that are meat-based and therefore not kosher for Temple Bnai Israel. Natural flavors found in sweets should be ok. If unsure, don’t buy the product or look for a hechsher or consult with the rabbi. “Natural coloring,” and “artificial flavors and colors” are all ok.
“Free-range” eggs. Because these are often fertilized, and therefore include blood spots, they are not allowed in a kitchen such as ours that maintains the traditional prohibition against eating blood (unless certified as being unfertilized or kosher – which would indicate that the eggs were checked). Rennet. Animal rennet does not render cheese unkosher for Temple Bnai Israel. Gelatin. But please note: While our policy allows gelatin in principle, we ask that you either refrain from using it or label products that contain it, because Rav Jeremy’s family and perhaps others do not eat gelatin in their practice of kashrut. Eggs. We maintain the traditional prohibition of eating blood. In particular, eggs with blood spots are not traditionally considered kosher and we wish to maintain this restriction at Temple Bnai Israel. If cooking at home, please use the traditional method of checking each egg for bloodspots in a separate glass before adding to the food being prepared. Utensils: See the restrictions noted in the “Basic Summary” above. Fish are not considered “meat” in our system of kashrut, in accordance with traditional usage. So they are allowed, but only species of fish which had fins and scales while alive are kosher. This excludes shellfish and other seafood, as well as shark and catfish, among the more common food fish. The Ritual Committee studied the origin and meaning of Shabbat and Shabbat practice. 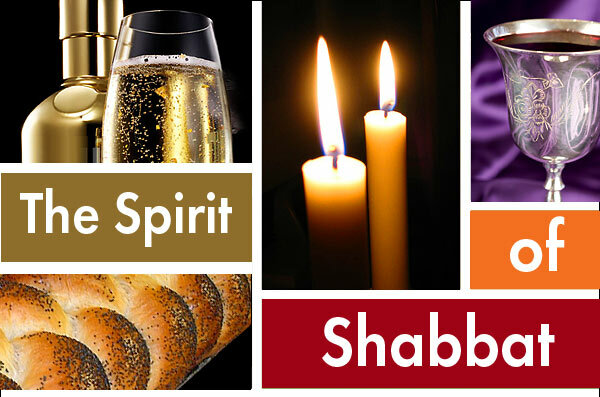 We hope to bring an inclusive, meaningful Shabbat practice to the Temple Bnai Israel community. Shabbat is more than a day of rest. It is also a day of joy when we celebrate and seek to enhance holiness and delight as we consider the meaning of God, Judaism, and the world in which we participate. Unfortunately, many Jews have learned to associate “real” Shabbat practice with a list of proscriptions. As a result, we may feel guilty when we think about how our Shabbat practice differs from some ideal which our more traditional forbears supposedly embraced. We want to embrace some traditional practices and want to express them as part of a program of blessing, community, and justice. Further, some of us have learned to embrace the avoidance of certain activities on Shabbat as an important, freeing part of a positive package of “spiritual practice.” Like Haiku, the Japanese poetry style that limits each poem to 17 syllables, limiting certain activities on Shabbat can enhance, rather than limit, our creative expression and sense of peace. In developing a Shabbat policy, the Ritual Committee followed a series of principles that we hope express both the vision in Exodus of celebrating creation, but not creating, and the vision in Deuteronomy of resting (not working), and allowing others to rest. These principles grew out of our study and seem to us to be a wholehearted, yet modern, response to our tradition. We celebrate Shabbat in and of itself. On Shabbat we do those things in which we take delight and which add to its holiness. Because it is set aside for special attention, on Shabbat we do not prepare for, or produce anything in preparation for, the days beyound Shabbat. This is how we define the traditional prohibition against production (issur m’lakhah). We try to be inclusive and to avoid imposing discomfort on others in our community by avoiding practices that will offend. We honor Shabbat by making sure that everyone has a day of rest. Those Jews whom we employ may work as part of Shabbat celebration, as our rabbi does, but no one should work seven days a week. We require no one, Jew or non-Jew, to work seven days a week. Celebration of Shabbat may supersede some biblical prohibitions. The only biblical Shabbat prohibition is against fire. After study, the Ritual Committee concluded that using a stove for Shabbat is acceptable in order to enhance the Shabbat celebration. Further, we concluded that electricity is not fire. Thus, we may use if for anything that is not otherwise prohibited in this policy. On Shabbat, we avoid commerce and the objectification of people. By objectification, we mean using people as tools – that is, in the roles they perform in the work-a-day world. Using the stove in the synagogue kitchen on Shabbat for the preparation of food to be consumed on that day is permitted. While cooking food on Shabbat for use on Shabbat is permitted, purchasing food (or other things) on Shabbat is not. Food cooked at the synagogue on Shabbat, but not consumed, should be given to charity. Crafts and other activities are permitted on Shabbat when the activity is focusedÂ solely on process, not product. Activities at the synagogue on Shabbat should include options to meet members’ varied practices. Taking photos and/or videos on Shabbat, which is production for the future, is not permitted at synagogue, but we can show movies. People may light candles at Friday night Shabbat services after sunset, but Havdalah occurs only after three stars appear in the sky; thus non-Shabbat activities cannot begin until that time. This is because Havdalah ends Shabbat; thus this practice will allow all to end Shabbat at the same time.